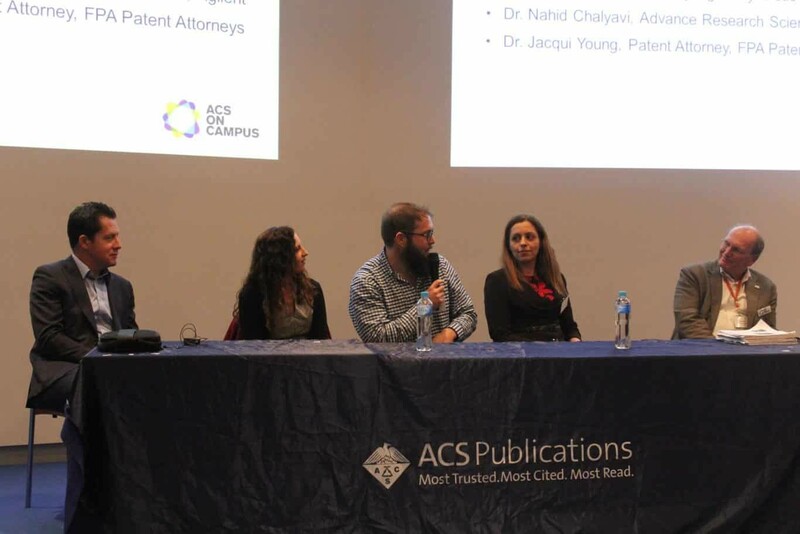 ACS on Campus recently visited Australia for the first time and had a successful two weeks of events, engaging with almost 400 students, authors, reviewers, and ACS members. The number of published articles from Australian authors in ACS journals is steadily increasing year over year. 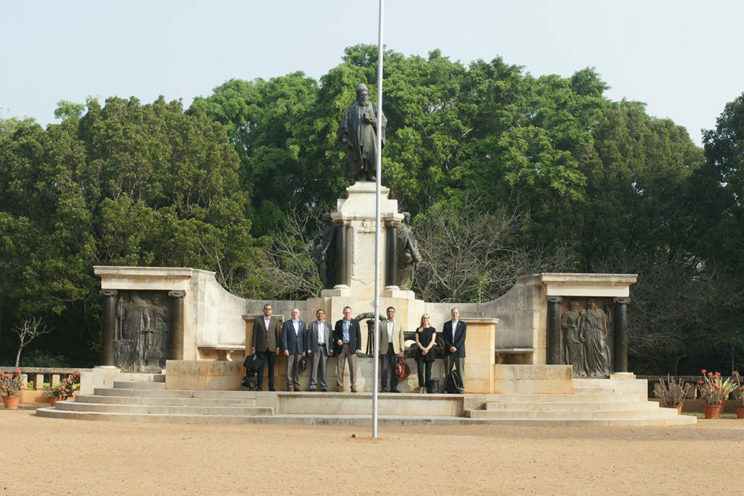 The country has an impressive number of ACS Editors and Editorial Advisor Board (EAB) members within its borders, including Justin Gooding, Editor-in-Chief of ACS Sensors, along with six associate editors, two executive and senior editors, and 40 EAB members. 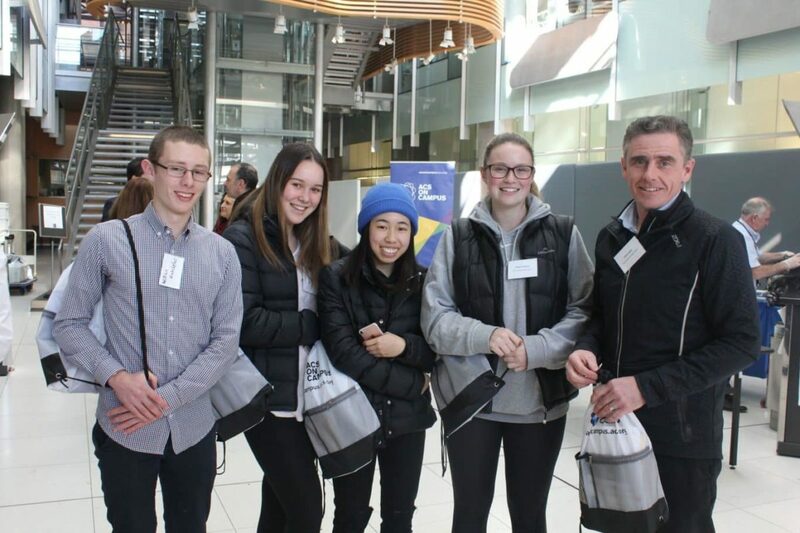 With that in mind and with the centenary chemistry congress for the Royal Australian Chemical Institute (RACI) in July, it was the perfect time for an ACS on Campus roadshow. The first stop was at the University of New South Wales in Sydney on July 19. ACS on Campus brought some of the best ACS editors and local researchers for a packed day of innovative lectures, scholarly publishing, and student science presentations. 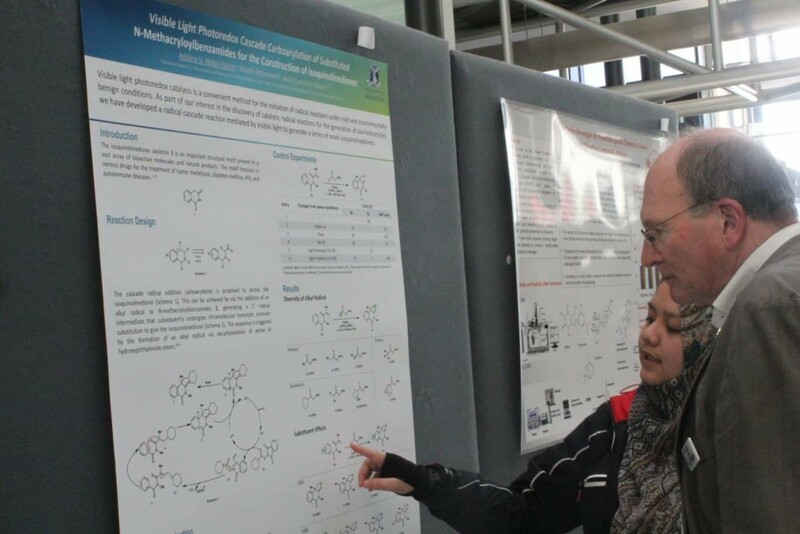 There was networking aplenty amongst students, ACS editors, and ACS staff, and 25 students were able to share their science during the poster session. The tour continued with an event at the University of Melbourne on July 21. The full day program consisted of more talks on scholarly publishing, science communication sessions, and student science presentations. A highlight was the career panel, where professionals such as a patent attorney, a staff scientist in industry, and a chief marketing officer of a chemical manufacturing company explored different careers within the chemical enterprise. “What I really enjoyed was the opportunity to engage with students and younger researchers about the whole publishing process. With so many journals around, picking and choosing journals is quite bewildering.It is difficult for the current generation of students to understand how and why the publishing process works the way it does. The ACS Events allowed senior editors a chance to talk about their experiences as researchers, what makes a good paper and traps to avoid in publishing. I had very positive feedback from graduate students in particular,” said Mulvaney. The final stop of the trip was the RACI National Centenary Conference in Melbourne. This was the RACI’s biggest conference yet, boasting an impressive international audience of researchers. ACS on Campus was honored to be a part of the official program on July 28 and have the opportunity to talk with attendees about professional development, how to get published, how to maximize your research, science communication tips, and use social media like a master. The ACS booth was a central fixture in the exhibit hall at RACI, where ACS Publications held a “Meet-an-ACS-Editor” event with participation from Gooding, Mulvaney Editor-in-Chief Paul S. Weiss, ACS Chemical Biology Editor-in-Chief Laura L. Kiessling, Journal of Medicinal Chemistry Editor-in-Chief Gunda Georg, Jounral of Medicinal Chemistry Associate Editor Stuart Conway, and ACS Central Science Senior Editor Dongyuan Zhao that attracted over 200 researchers. “It was great to have the ACS visit Australia for our centenary chemistry congress and to run some ACS on Campus events down under. Both the students at UNSW Sydney and the University of Melbourne really enjoyed the ACS on Campus events and several told me that they learnt a lot about publishing,” said Gooding. We want to give a big thanks to our university hosts, the RACI organizers, and the ACS Editors who served as our featured speakers: Gooding, Zhao, Mulvaney, Conway, Journal of the American Chemical Society Associate Editor Michelle Coote, Environmental Science & Technology Associate Editor Jennifer Field, Environmental Science & Technology Associate Editor David Waite, Organic Letters Associate Editor Andrew Holmes, Chemistry of Materials Executive Editor Frank Caruso, and The Journal of Physical Chemistry Deputy Editor Anne McCoy.